Email marketing is one of the most effective marketing tactics used by businesses today. Most businesses continue to use email marketing because it continues to show results. 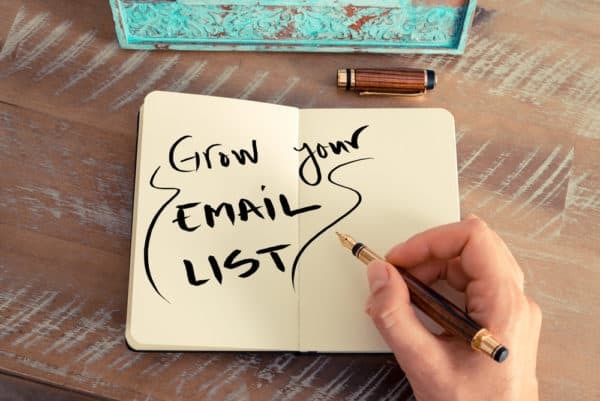 One of the first questions you will likely ask is how to grow your email list. Obviously, if you don’t have anyone subscribed to your email, then it will be very difficult to effectively use this type of marketing. This blog post will give you some great ideas on how to gather contacts and grow your distribution list. Email marketing platforms are a great way to store and manage your email contacts. If you’re keeping track of your business’ contacts yourself, there’s a good chance your contact list will get disorganized. If you’re trying to grow your email list, managing your contacts on spreadsheets may get tedious. Email marketing platforms will help you store your contacts and manage the emails addresses you are using. You may want to send an email to a specific group of your contacts. These email tools will help to refine your contacts to help you be selective of which list you’re sending an email to. Retaining your email contacts is just as important as growing your email list. A good email marketing platform will report your emails’ open rates, track emails, click through rates and more! This will help you see what subject lines are working, and what type of content your subscribers don’t want to see. Some email marketing platforms like Constant Contact or Mailchimp can even report who opened what email and what links they clicked. It’s safe to say we have all declined to provide our information when asked to subscribe to someone’s email list. We often do this because we don’t see a good reason to subscribe. This could be because we were asked to subscribe to a store we rarely shop at or a restaurant we didn’t really like. When there’s no incentive or value in a business’ emails, people immediately unsubscribe or send the unwanted emails to their junk folder. This is why you should make sure you’re sending your email subscribers quality email content that provides value. 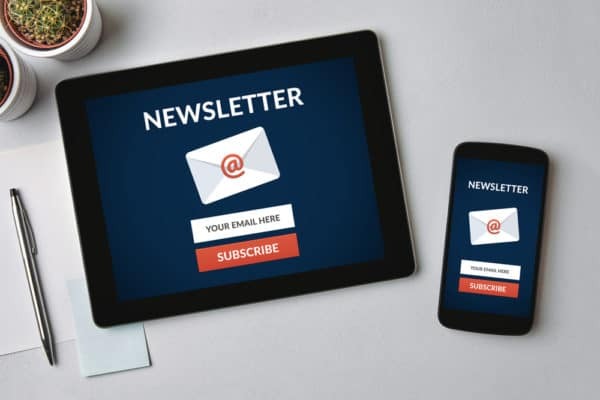 When asking your customers to sign up to your email list, you should let them know what they’ll be receive if they accept. Provide an incentive by sending your contacts special offers, coupons or even notifications for when your latest blog posts go live. At the bottom of your webpages, you can include an email opt-in form. If your website visitors are reaching the bottom of your website, they are probably very interested in your business. When you include an opt-in form, you’re giving your most interested website visitors a chance to receive more communication from you. This is probably the easiest method of collecting email contacts, and you can connect your form to email marketing platforms like Constant Contact or Mailchimp! You could also add the option for people to subscribe to your email in other places on the website. It doesn’t have to be only in the footer. Other common locations include somewhere on the homepage, in a banner at the top of the website and as a button in the bottom corner of the website. If you want to have a signup option in multiple places on the website, that’s fine too! A pop-up on your website, asking your visitors to sign up for your email list, is a great way to gather contacts. Every time someone visits your website, your pop-up form will ask them to join your email list. Depending on the type of business website you have, you should offer an incentive for their sign-up. For example, if you run a small boutique, your pop-up could say, “Receive 20% off your next purchase when you sign up for our emails.” If you run a blog, your pop-up could say, “Sign up to get a notification every time we post!” There can be some potential disadvantages to using a pop-up though. For one, search engines tend not always like pop-up forms. Also, many people are conditioned to immediately close the pop-up before they even read what it says. There are workarounds to these challenges. A website developer or SEO professional can probably help you with this. Many social media platforms allow you to run advertisements with the purpose of helping you acquire contacts. In your advertisement, you can include a form requesting people’s emails in return for content. You can promise to send them a list of blog posts, resources, coupons, or other incentives. The next time you set up an advertisement, consider making it a contact generation campaign. Once you collect these emails, make sure to save them for future emails, rather than using them only once. Does your business have a customer loyalty program? Has your business ever hosted an event where attendees had to provide their email to receive their tickets? Whenever you receive an email address, you should add it to your contact list. 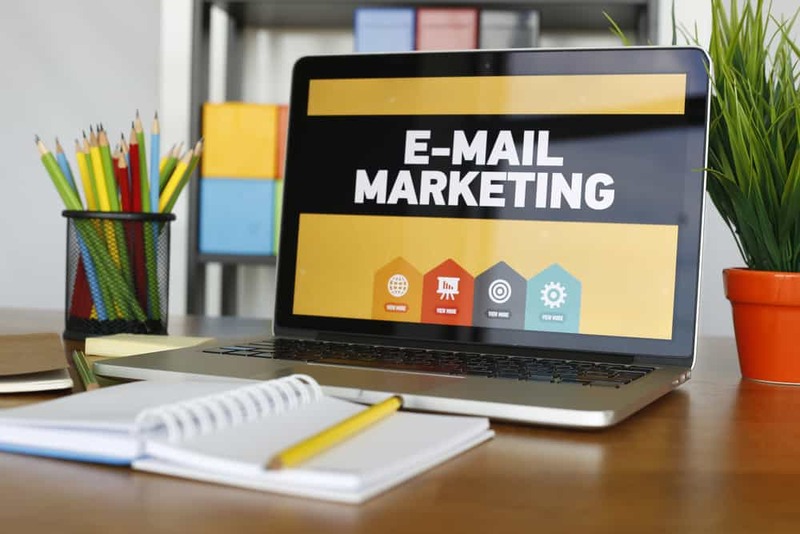 Using an email marketing platform will help you to automatically add every email address you receive to your list, which will take a lot of work off your hands. Take advantage of these instances where you are collecting your customer’s emails. Consider brainstorming and planning events or loyalty programs where you can easily collect your customer’s emails to grow your list. We hope these ideas help you gather contacts for your email list. If you have any questions at all, please feel free to fill out the form below. We will be sure to contact you and answer your question as soon as possible.